Tatkal booking time is one day advance between 10 AM to 12 PM, Only two tickets are allowed per user id. 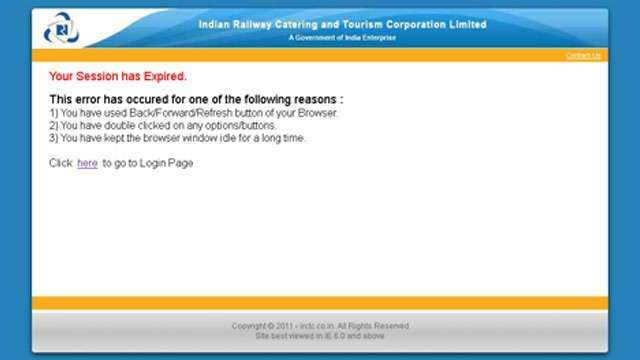 First, Login to irctc.co.in portal before 10:00 AM , say Login @ 9:55AM, so as to avoid thousand of users logging simultaneously at same time. Make sure your computer's clock is synced with irctc clock time. To know, IRCTC server time , Type "India time" in Google search , it will show you a clock ,on the top of results, which is a real server time of IRCTC. After logging in, keep the session active , otherwise > 3 minutes idle, you will get "Session expired ERROR" , It means log in again and it causes delay. To avoid this, You can use this link. All you need to do is make a note of the Session ID and the Engine ID (from the address bar), replace it with your session and engine IDs and use the URL in another browser (For instance, if you are using Chrome, then use it in Firefox). After login into IRCTC, Fill all details, i will prefer PAN card to use it as identity proof.As you have to be very quick and can't keep typing in details for minutes, here’s what you can do – keep all the information like name of the passengers, age, PAN number handy in a notepad and just copy paste the information while booking the ticket. The traffic on IRCTC website during starting time of booking is very heavy, website will give "Service Unavailable" error, just keep on refreshing the page, Do not double click or use backspace., it will automatically redirect you to ITCTC website after booking process completed. After following these steps , you will definitely get a fair chance to book Tatkal Ticket. 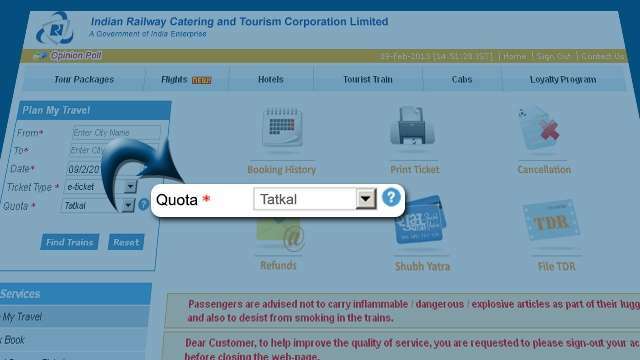 There are many other methods to book Tatkal tickets but it is one most easiest method, involving no tweaks at all.